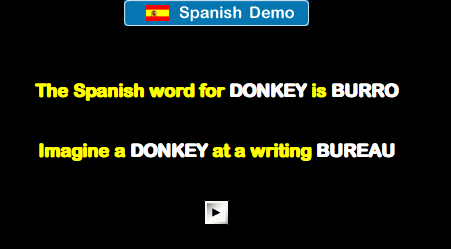 Learning Spanish is Oh-So Easy! 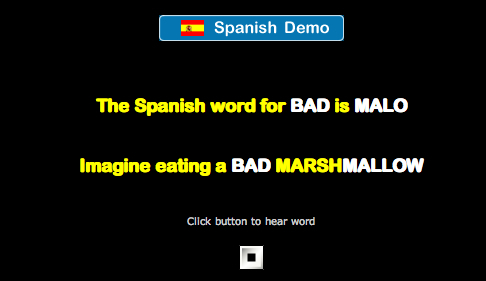 Almost two years after I first found Unforgettable Languages, a company that pitches the “linkword” method to learning languages, I stopped by this morning to check in with them and realized the company is not only still around, but has added some new features and languages to its roster. 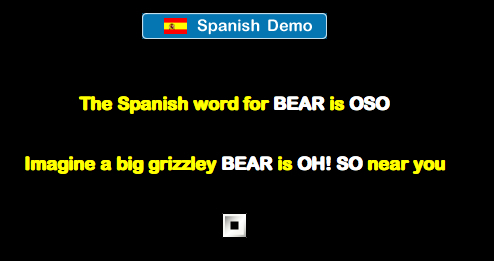 And just in case Spanish is not your cup of tea, you might want to check out other options. This entry was posted in Marketing & Advertising. Bookmark the permalink.